Retrofit Home is the creation of two friends, Jon Milazzo and Lori Pomeranz, who have had a long history of creating and styling together. Both art school grads, who met at the Fremont Market in 1992, they became fast friends and business partners. They immediately began painting and decorating together with a shared passion for art and home furnishings. Inspired by a visit to NYC’s ABC Carpet and Home, they set out to make a compact, more urban, and decidedly more edgy department store in the heart of Seattle’s hip and diverse Capitol Hill neighborhood. Their bursting energy and unique style led to the opening of Retrofit Home in 2005. Over the years, as Capitol Hill has undergone development and change, the store continued to anchor the neighborhood, keeping the freshest of trends available to the growing population. In 2010, the store expanded and moved to the historic Baker Linen Building, the gorgeous space that is currently Retrofit's home on 11th and Pike. 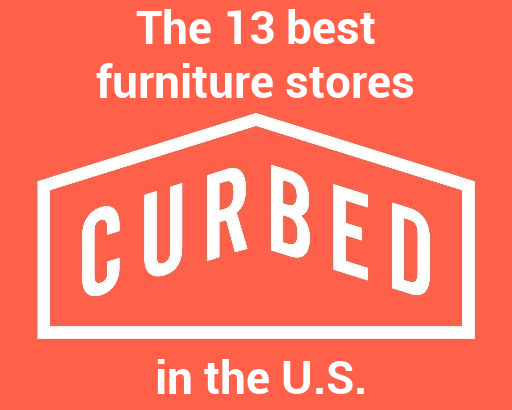 You’ll still find Jon and Lori's deeply personal touch in every aspect of curating the store’s collection of quality furniture, beautiful home goods and of course all the best gifts around. Retrofit Home is a Capitol Hill staple, noted by the big orange chair outside, providing a fun place to buy gifts, cards, candles, and stylish home furnishings. Retrofit home is the anchor that reminds us all of the kinds of businesses that originally drew us to this neighborhood. Historical photo of the Baker Linen Building, the current location of Retrofit Home on the corner of Pike Street and 11th Street.